Try one of our Valentine's Day recipes and enjoy an intimate dinner at home. Choose from elegant main courses like surf and turf, châteaubriand for two or duck a l'orange and finish with a simple homemade chocolate dessert. 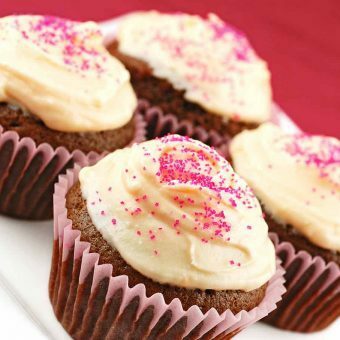 We use fresh orange zest and a bit of extract to infuse both the cupcakes and their cream cheese frosting with that rich orange flavor that complements the flavor of chocolate so perfectly. 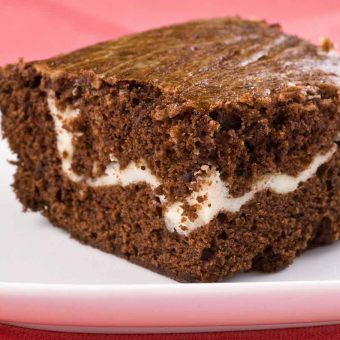 These brownies combine strawberry preserves and cream cheese for a delicious, moist chocolatey treat.